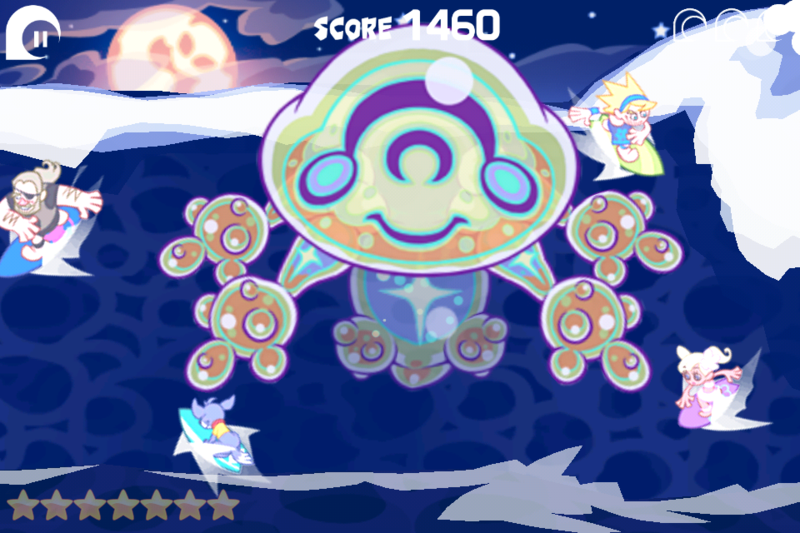 Free Version of Party Wave, an Action Surfing Game Developed by Mistwalker. 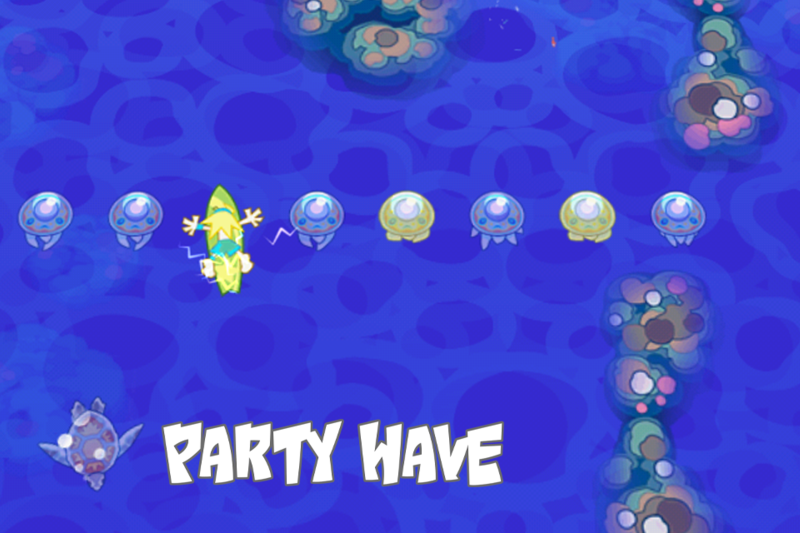 There are two elements in playing Party Wave: paddling and surfing. 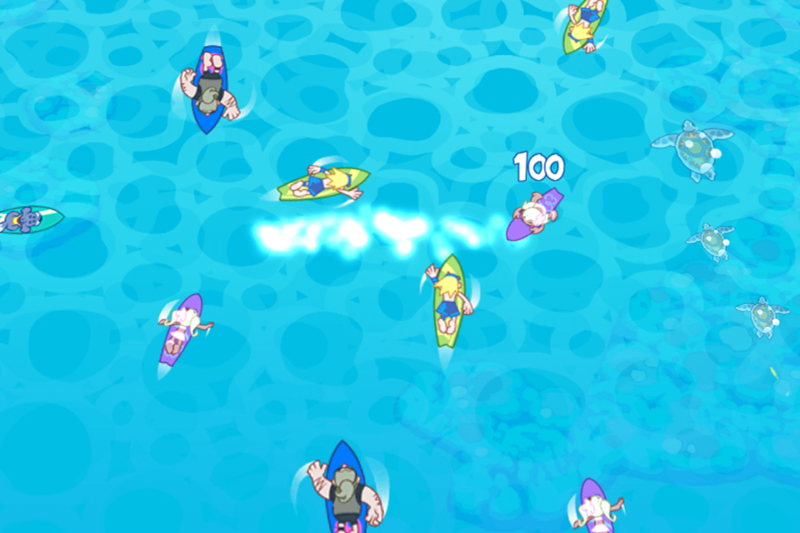 For paddling, touch surfers and drag them to a spot where the surf breaks, while avoiding the obstacles such as dolphins and turtles. 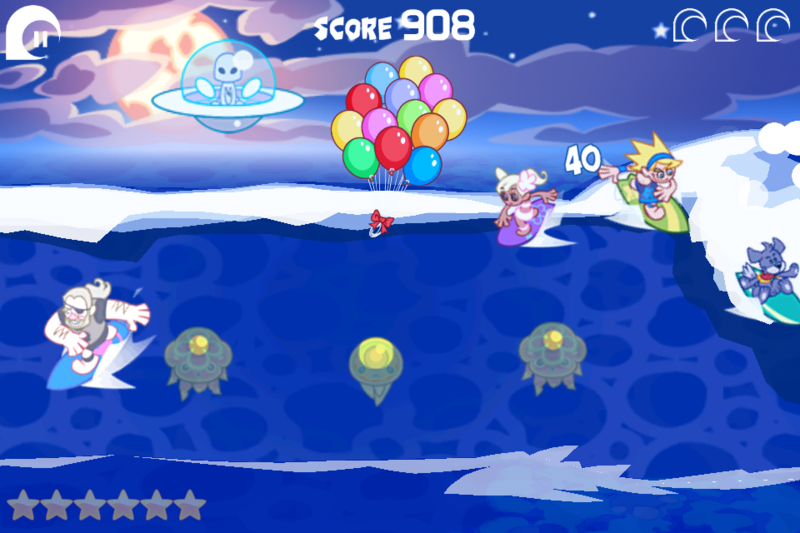 And for surfing, touch surfers to make them turn and jump to prevent wipeouts. 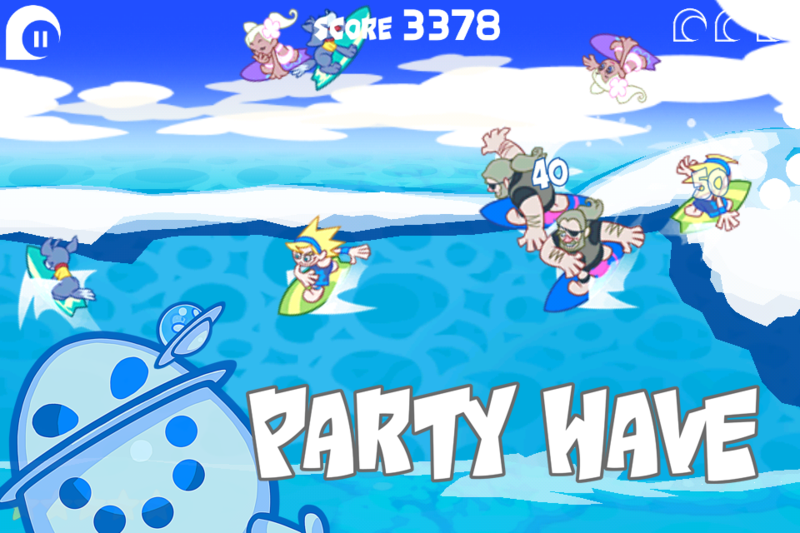 Let's enjoy Party Wave with the surfing crowd and the board-riding dog, Skip, while getting valuable bonuses from Hiso Alien.